10-11-12, not only is this the day of National Choking Game Awareness, but also the ages you should talk to kids about the choking game. It is estimated that 75% of kids know about the game, but 40% think it is harmless. We ask that you take this day to spread awareness about the “game” that has taken the lives of so many kids around the world, including Joshua. The goal is to educate parents and caregivers, giving them the right information that we didn’t have, to prevent their child from ever attempting this, and to see the warning signs. The choking game is not new, but communities have suffered the deaths of amazing youth as a result of this activity. Parents haven’t heard of it, and don’t think their children know something they don’t. It is starting to boost in popularity as a solo venture. It is especially lethal, and is responsible for a large number of deaths in our youth. 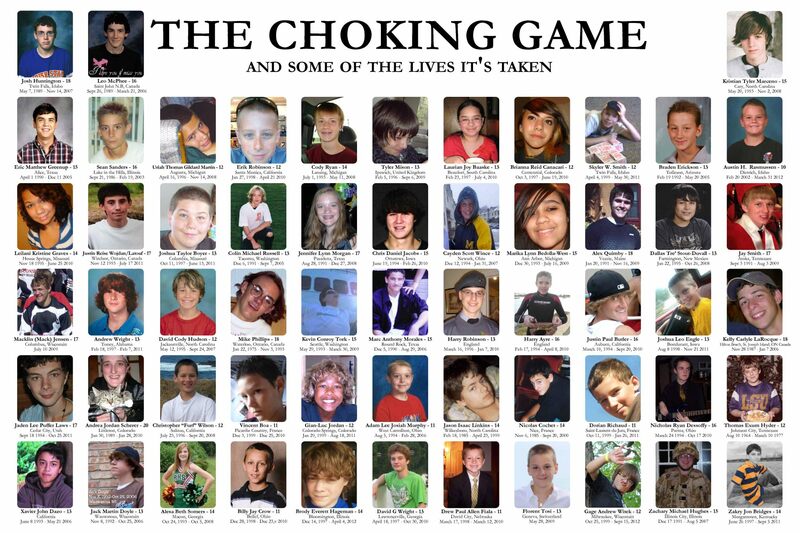 As many as 250-1,000 children die each year playing some variant of the choking game. Tracking the exact number of deaths is difficult because so many cases are reported as teen suicides, but here are some stirring statistics that should make us push the pause button. Typically this “game” involves children ages 9-16, although younger and older adolescents have been involved too. Our website has many links that are updated regularly. We must put an end to this “game” that is taking the lives of so many of our loved ones. Go to the take action tab and see what you can do to help us advocate the awareness. Nice job, Keri. I think we had a successful Awareness Day. I love your blog!